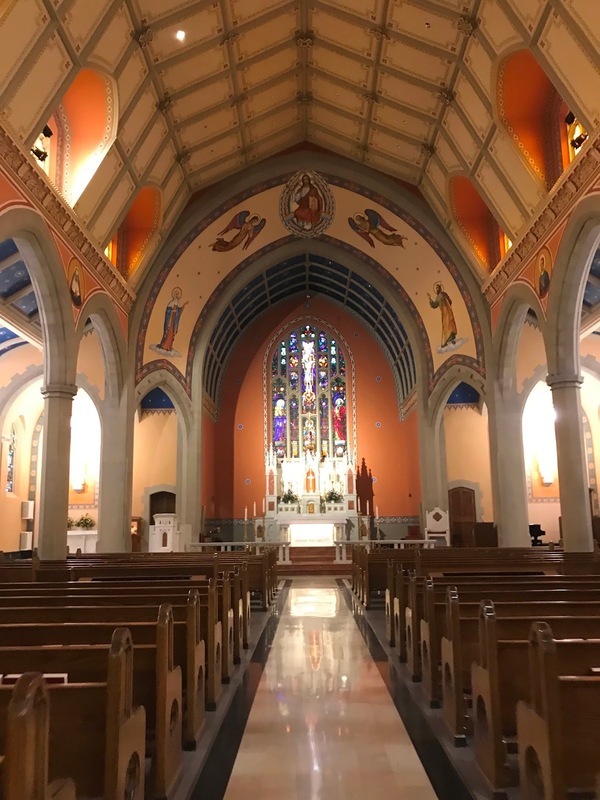 Holy Family Parish in Latrobe, Pennsylvania, within the Diocese of Greensburg, recently completed a very nice restoration and de-wreckovation. 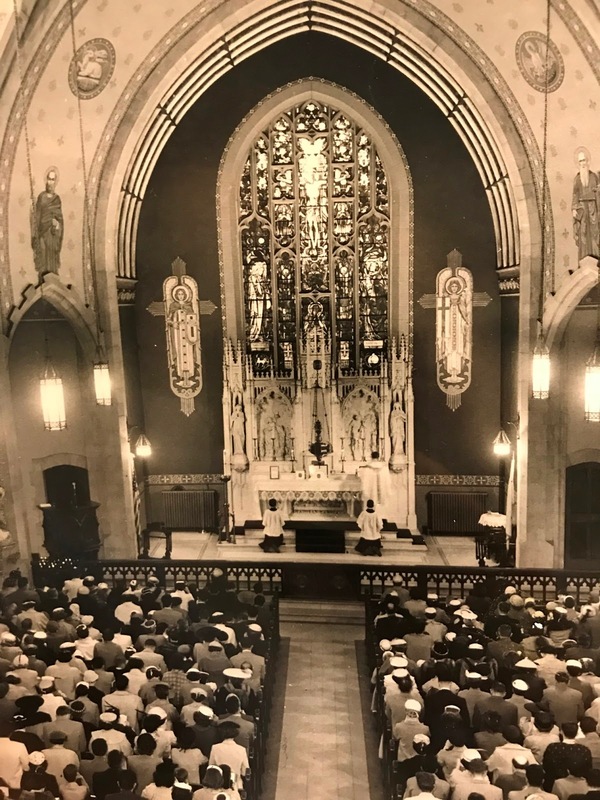 Under the leadership of Fr Daniel Mahoney, V.F., the parish put back the ornately patterned ceiling, a high altar, murals of varies “modern” Saints around the nave, as well as all new lighting and sound system, etc. 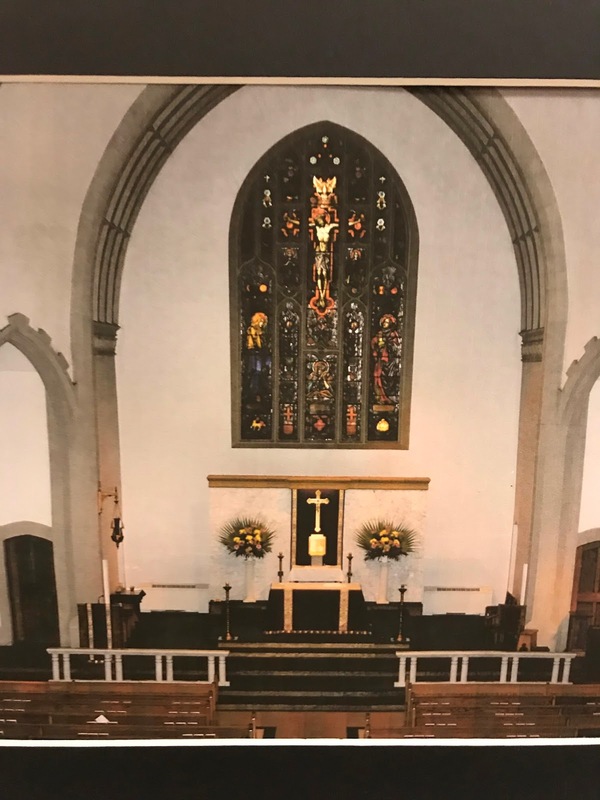 The decorative work, murals, and painting were done by EverGreene Architectural Arts; the restored churched was blessed with the dedication of the new altar by Bishop Edward Malesic on June 25, 2017. 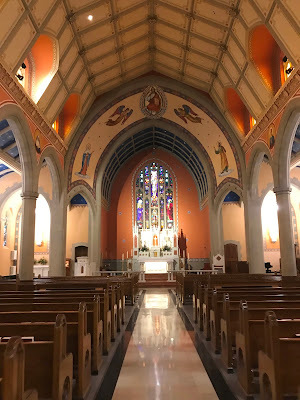 Our thanks to Mr Christopher Pujol, a seminarian of the diocese of Greensburg, for sharing these photos with us, and our congratulations to Fr Mahoney and Bishop Malesic for bringing beauty back to this church. Ad multos annos! 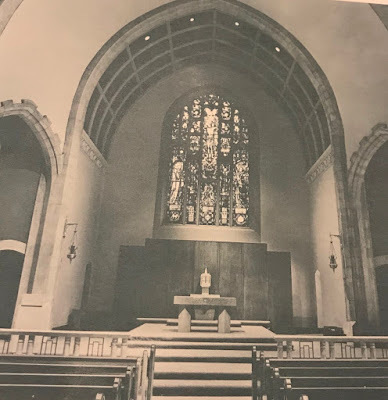 The church prior to the renovations of 1967. Notice the murals, ornamented ceiling, and the similarity to the newly restored high altar seen below. Images of the Holy Family crown the arch. This is the 1967 renovation of the church as pictured in the commemorative booklet from the consecration; the high altar, pulpit, and all decorative paintings have been removed. A more modern photo of the church prior to the restoration of 2017. The restored church played off the original design by returning the Holy Family to the arch; Christ the Divine Teacher takes the center position, as the parish school is claimed in His name. The focus again becomes the great window of the crucifixion in the apse, as well as the restored high altar with tabernacle. The new high altar comes from a closed church in the Archdiocese of Baltimore; it is strikingly similar to the original altar of Holy Family. 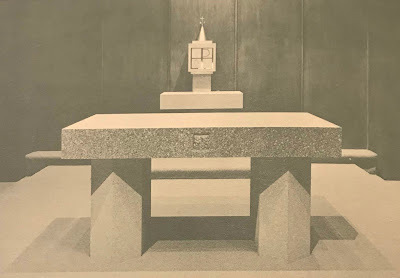 The relics deposited within the mensa are the same from the original high altar. The beginning of a celebration of Low Mass at the new High Altar, by Fr Daniel Mahoney, assisted by Mr Christopher Pujol, June 2018.